Meanwhile winter has started in Western Europa and in Brazil they enjoy nice summer temperatures, Volkswagen has turned another page in its own history book. At the time you’ll be reading this the end of the Bay window bus will be a fact… With a nice ‘last edition’ the era of the ‘Combi’ will end. It’s a normal evolution for a car manufacturer. The very last Volkswagen with the engine in the back is no longer, damned for all time. As supplier of parts, it’s though a bit frightening for us. Now we are all at our own, no Volkswagen anymore… Sorry. However VW in Brazil assured us fortunately that the supply of parts will continue for a while. Hopefully this while we last a ‘while’… afterwards we’ll have to evaluate what’s important and what we have to reproduce so that we can assure that your darling can drive for many more years…. That’s our mission. Socially and economically speaking these last three months can definitely be called turbulent. Nobody or nothing is certain… So just continue what you’re doing , that will be the message. Working at ‘our’ network and securing ‘our’ market will be our principal mission for 2014. 2014, a year that announces itself with great allure for BBT. Many new products, that required years of preparation, are now ready for production and they will be available soon, we’re looking forward to it. BBT will get new opening hours and other modifications will come into force, in order to improve returns. BBT is ready for it. Our slogan ‘service’ will be extended wherever possible. There is nothing else then to wish you a good health, happiness and joyfulness in your job. A privilege that only humans may experience! Happy 2014! That all your wishes may come true for you personally and in your business…. The factory that used to make the engine case in magnesium as original equipment for VW do Brazil teamed up with BBT for exclusive worldwide distribution of this engine case outside of the America’s. Magnesium has a long tradition of use as a lightweight material in the field of commercial and specialty automotive construction. Racing cars used magnesium parts in the 1920's, but magnesium castings were not extensively used in commercial vehicles until 1936 when the Volkswagen Beetle was introduced. The car contained around 20kg of magnesium in the powertrain! 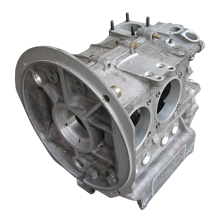 BBT can offer you now the original make magnesium engine cases again from stock. 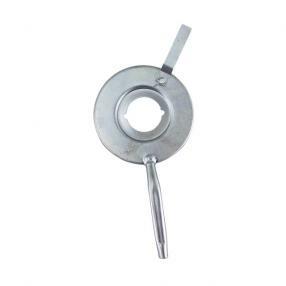 These clips are used for the assembly of the door and rear panels on Type 25 buses. Its the version which is pushed through the panel. You can now replace without any problems lost or damaged clips by new ones. The clips are delivered each from stock. Restorations are more and more executed to higher standards. In this way only it will be possible to give to your classical car the value it deserves. Good restorations can only be made with high-quality parts and thats why BBT is always looking for parts who can fulfill these demands. By expanding our offer of door latches BBT gives you the opportunity the choose the best item for you. 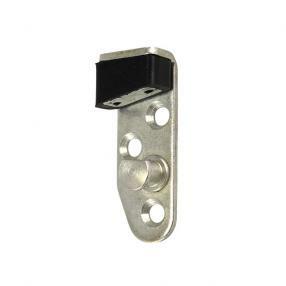 Damaged or corroded door latches of Type 1 08-60-07/65 can now be replaced by this nicely chromed and finished part. Available each from stock. The working and safety of the rear cargo door lock can only be guaranteed if all suspension and lock parts are in good order and free of structural failures. From experience we know that the lock catch is one of the most fragile components within this unit. BBT presents from now on the rear cargo lock catch of a Type 2 bus 08/63-07/71 in a good reproduction from stock. More than 45 years of heavy duty can cause quite some play on suspension and locks of the doors on our classical cars. As soon there is play on a certain part, all other parts are overcharged and they can get damaged. Thats why it is important to assure that all these parts are in good condition. You dont wish that a door will swing open when driving ? BBT can now deliver these important door catch latches for Type 2 08063-07/66 each and for each side. 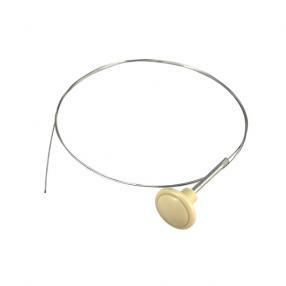 We already have those for Type 2 -08/63 available under ref. 0438-20, whereas we can deliver those for Type 2 08/66-07/79 under item 0438-103 and -104. 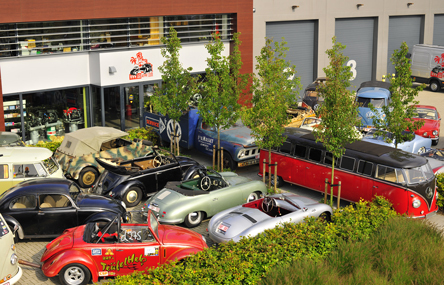 For us, fans of classical VW there isnt anything more pleasant than driving around in our beloved cars. When its raining wipers clear the sight, though you might be blinded when the sun is low. We have since many years sun visors from Cornett in our offer for Type 1 and Type 2 08/67-07/79,although the high demand after this feature for other Types has incited us to take the complete range for classical Volkswagens in stock. The sun visor is assembled with clamp brackets at the edge of the roof outside the car, whereas the angle can be adjusted as desired by means of 2 turn buttons. 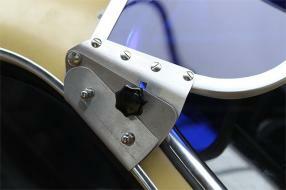 The sun visor consists of an aluminum polished frame with therein a solid transparent PVC screen. 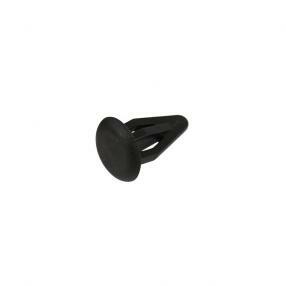 Stainless steel clips and assembly material are included. Available each from stock in following colors: blue, red, green and smoke. The sliding door on Type 2 08/67-07/79 is controlled from the inside by means of a handle. 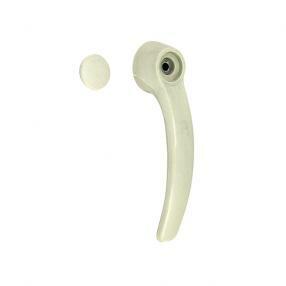 Though this handle gets often damaged or breaks during heavy used and under the influence of the sun. We also notice that the cap is missing on a lot of buses. BBT can deliver from now on a good reproduction from stock in the original silver beige finish. Customization and creativity are never far away from our Vintage world and many manufacturers are definitely responding to it. 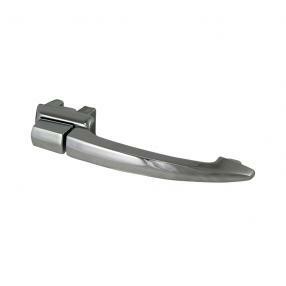 Vintage Speed as well has an alternative for customization and even in a very practical way by means of these door pulls that can be placed on the door frame. In this way it will be possible to replace the original inner door handles. 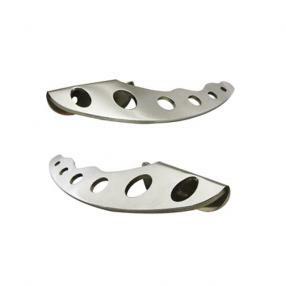 The door pulls are made from polished stainless steel. Sold a pair with assembly material included. Since quite some time we could deliver a switch that could be added on the dashboard, meanwhile our NOS stock for this switch is however running out. Our purchase department got the order to look for a good alternative. The result will please many classic car VW owners. This switch from Bosch with classic design suits to our classic VW to control the additional interior light, fog lamp or rear window heating. The choice is yours. The switch has 3 entries, 1 normal open contact, 4 ampère, 12V. Its has an assembly hole of 12.5mm and a plate thickness of 6mm. The connections can be executed with clips as well as screwed. 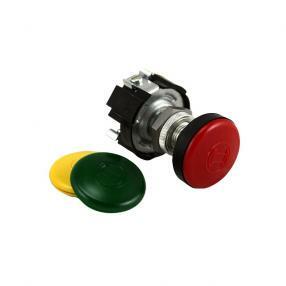 Another advantage is that the switch will be delivered with 3 colored plates for a green, yellow or red tell-tale. The switch is delivered each from stock. The interior light is a practical though fragile part of our classical car. They get easily damaged by manipulation, bumping or the electric contacts can oxidize. 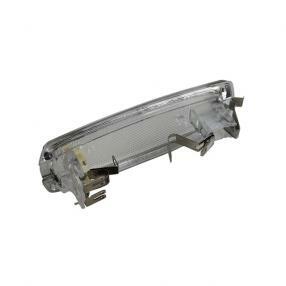 BBT already had a very ample range to replace damaged interior lights, although we were still missing those for model Type 2 08/67-08/75. From now on BBT has them available in a good reproduction each from stock. The heating and ventilation of Type 2 buses is controlled on the dashboard, depending of the model year, by 4 or 3 levers which control a mechanism through the dashboard that on its turn controls de cables to the heater flaps. On Type 2 08/67-07/72 the assembly of these levers is executed with the help from clips that go through the lever and the cone of levers onto the mechanism. 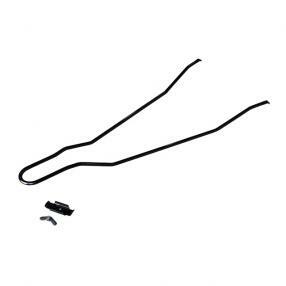 These clips can break by using poorly greased lever mechanism or they get damaged or lost during disassembly of the levers, when removing the dashboard. The clips are delivered each from stock. 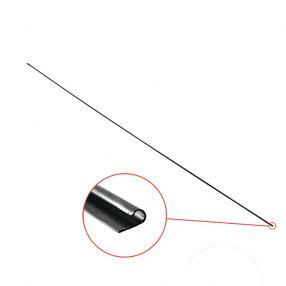 The seal that takes care of the sealing of the front hood on the body of Type 1 Beetle is assembled in a metallic curbed strip , that has been welded on its turn onto the body. 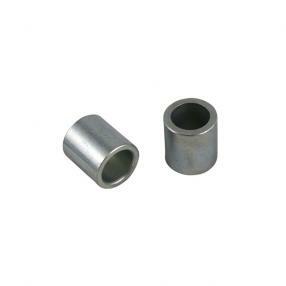 Due to this way of assembly as well as the way of construction of this sealing side, it is very susceptible to corrosion. Since a lot of years we had this metallic strip in 1000mm available. It was convenient to repair and replace a damaged mounting strip, though it was sometimes a bit too short. Resulting that repairs had to be made with an additional part, which made that the final work didnt look very nice. From now on we can present an alternative in a length of 1500mm. (Tekst Blog) Weve already seen to many single cabs which have their spare wheel just lying around in the treasure box and absorbing that little space you have to put away those crates of beer. Nevertheless, VW had a very suitable solution to put away that extra wheel without losing space but in most cases the bar to hold that extra wheel on its position has got lost. 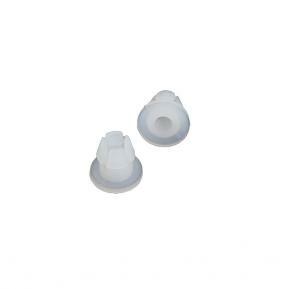 From now on BBT can supply the correct bar, support and wing nut to secure that spare wheel. There is nothing more annoying than a broken front hood inner cable. If so its no longer possible to open the front hood without damaging and it makes that the filler opening of the fuel tank is out of reach. A cable with a broken handling button or damaged by corrosion should be replaced a.s.a.p.. BBT has from now on a good alternative available from stock. 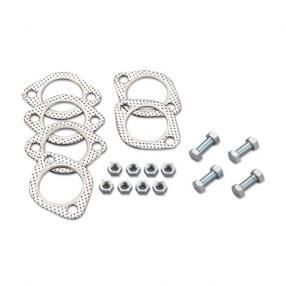 These assembly kits are essential for a good assembly of the Vintage Speed exhausts on your engine and they contain all wire end, bolts and gaskets necessary for a good sealing between flange style muffler and collector. 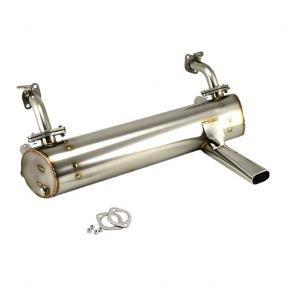 # 1000-850 is suitable for assembly on Type 4 Vintage Speed exhausts on a Type 1 Style Vintage Speed header, whereas # 1000-851 is used for assembly of a Type 4 Vintage Speed exhaust on Type 4 Style headers. At last # 1000-855 is used for the assembly of adjustable flange style mufflers on Type 1 Style engines. These J-tubes are an alternative for the already existing metallic J-tubes and they can be used to replace the heat exchangers. We give you the opportunity to compose the exhaust yourselves and therefore we have both systems available. One with standard clips and another model with fixed flanges. The J-tubes are delivered a pair, seals and assembly material included. The assembly of the master cylinder on the body on type 1 beetle can be done by means of 2 long bolts that come through the bushings, through an hollow part of the body. These mounting bolts and bushings can get seriously damaged by corrosion caused by humidity and the corrosive characteristics of brake fluid, that attend on the master cylinder pump and body through leaking seals. When removing these bolts they can break off or the bushing through which these bolts pass, fall into the hollow part of the body. 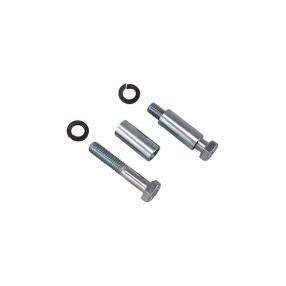 From now on BBT can deliver these mountings kits in own production from stock consisting of 2 bolts, 2 bushings and 2 spring washers. Refill of brake fluid on Type 2 08/72-07/79 is executed through a reservoir near the front passenger seat. There is a connection through this reservoir with a second reservoir that is located above the master cylinder. The connection between these two reservoirs is effectuated by a PVC brake line which we have taken now into our assortment. 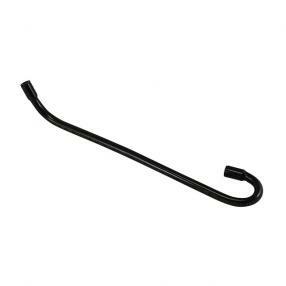 This PVC brake line can get damaged by manipulation or friction with other parts of the body. Available each from stock. The steering angle with Type 2 buses -07/67 is limited by 2 conical stop bolts, which are foreseen of a wire end. These conical stops are transmitted and assembled through this wire end and a locking nut across the king pin. When the maximum steering angle has been reached the pin touches the spindle nut and the turn movement is stopped. We know from experience that this part of the steering is very susceptible to corrosion and can seriously get stuck. Disassembly can cause damages and to produce this part again demands mechanical work. 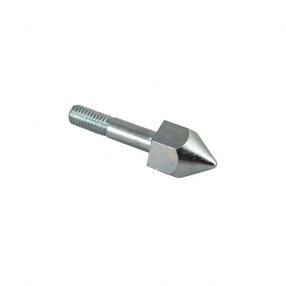 From now on BBT can deliver this stop bolt from own production each from stock. Since quite some time the BBT product development department has been planning to produce these oil deflectors, however to find a good manufacturer for the tooling and production was a very complex task. Anyway time has brought a solution and were quite satisfied with the result. 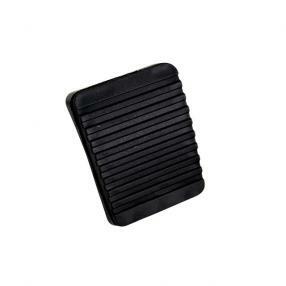 The oil deflector plates can be found on the rear brake drums and they have the significant task to prevent that oil from the gear box escaping through the swing axle, will get on the brake lining. Frequently the original plates are damaged by corrosion or got damaged when removing them from the brake drum. From now on we can deliver from stock a good reproduction according to the original NOS model for Type 1, Type 2, Type 3 and also for Porsche 356. Sold each. 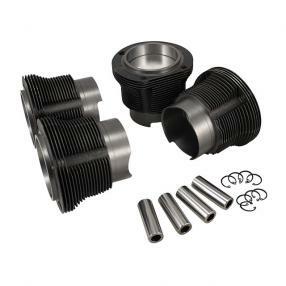 For amateurs of Type 4 engines and especially those who love high performance Type 4 engines, we have from now on these 2000cc piston cylinder kit available. It is similar to the original version used on Type 4 2000cc engines like they used to be placed in Porsche 914. The flat top aluminum pistons admit a higher compression and accordingly it is possible to generate more power from the Type 4 engine. The cylinders are casted. Standard boring 94mm for a standard stroke 71mm. The set consists of 4 casted cylinders, 4 aluminum pistons, 1 set of piston rings, 4 wrist pins and clips. There are only limited possibilities to replace the original style exhaust on 25 and 36hp engines and this exhaust completes our offer. It is also an alternative for fans of 25 and 36hp engines. These exhausts from stainless steel with pre-heat riser are available in a version with 1 oval tail pipe and a model with 2 33mm tail pipes. They are foreseen with a M18 x 1.5 screw for assembly of a Lamda sensor. 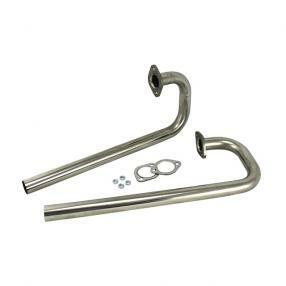 The exhausts are sold a piece, assembly set included. 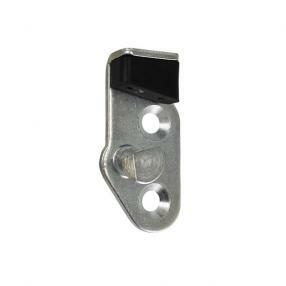 A damaged or broken lock catch on a sliding door can cause a lot of grief and resulting in considerable costs for repairing the sliding door , that has fallen out of your bus due to bad closure. Regular greasing of the different suspension and lock parts and repairing visible damaged parts in time can prevent a lot of trouble. 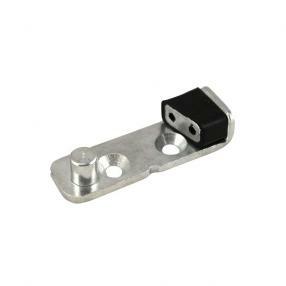 From now on we can deliver the rear lock catch for sliding door for Type 2 08/67-07/79 each from stock.